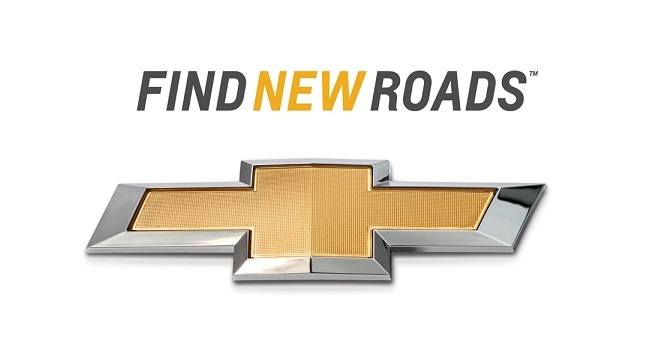 Chevrolet's tagline has ever been an encouraging one: "find new roads." It can be interpreted as a cheer onward, an emblem of what could be, or a challenge to go beyond. Chevrolet has taken their motto to the next level in their new ad campaign "Fueling Possibilities." 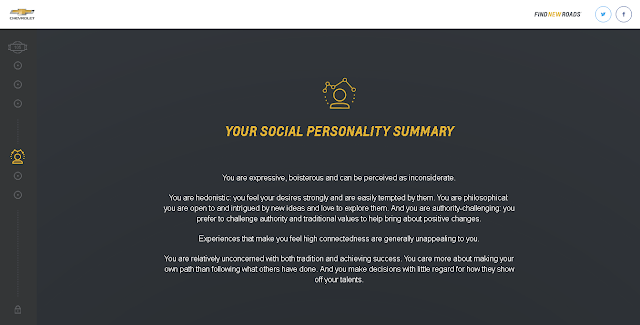 Developing their Global Positivity System (GPS) website in partnership with IBM, the Detroit-based company is using IBM's Watson AI software to analyse a person's social media presence and their AlchemyLanguage API to perform text evaluation for a deeper and more accurate understanding of a person's posts. Included in the evaluation are emojis and word usage. Specifically, the website will use Twitter and/or Facebook accounts to assess the positive impact that an individual has. Chevrolet has made it clear that any information used in the assessment is not kept nor will ads appear once you've taken the test. 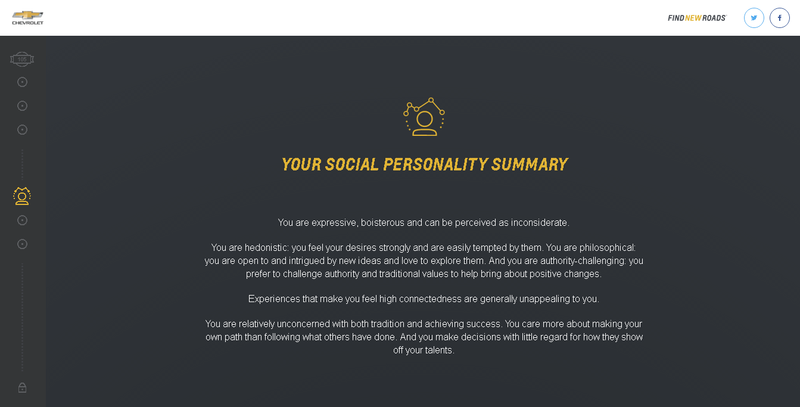 Once finished, Watson Sentiment Analysis will pop out a written statement about your personality, top traits, and some suggestions for broadening your horizons. When I linked my Facebook, admittedly I rarely post, I got a score of 105 out of 200. Apparently, 121 is the average. Chevy's site is worth a visit, and you can do just that from desktop or mobile. It's free to access, and you may even be able to pay for your gas with positivity. Three gas stations around the world have been taken over by positivity machines. After plugging in your social accounts, a certain amount of free gas will be given with more given to those who score more positively. To keep up the trend of positive vibes, Chevy has said that no one will go away with an empty tank. Free fuel will be given to all who participate in the evaluation. New Orleans, Cape Town, and Buenos Aires are the first in the bunch to get the special treatment, though Canada, Dubai, and South Korea are next in line. The rationale behind Chevrolet's giving mood? Craig Daitch, spokesperson of parent-company GM, says, "The objective of the Fueling Possibilities campaign is to create awareness in global markets for our brand and what we stand for," in an email to Ars. "Chevrolet is at different stages of brand awareness around the globe and a global campaign such as Fueling Possibilities helps us create consistency as to who we are in Chevrolet." The Martin Agency is responsible for the design and execution of the campaign with Commonwealth/McCann as the strategic lead agency. As it stands, the campaign is just rolling out with plans for custom Facebook videos and a promoted trend on Twitter on a global scale.